Fill out the form below to send us a message. You may also email us at blogadmin@weddingwindow.com. We look forward to hearing from you! Wedding Window has been a powerhouse in the online wedding industry, offering customizable wedding websites since 2001. In 2009 we introduced WedLoft.com as an extended resource to couples. We are continually growing as a blog filled with stunning wedding inspiration, creative ideas, DIY projects and top-notch planning resources. 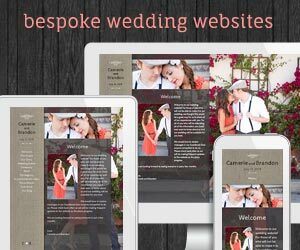 Since it’s inception in 2009 WedLoft has quickly gained a devoted and continually growing following of brides and grooms who are completely consumed with all things weddings! We look forward to working with you to create an advertising package that is the perfect fit for your business. For a detailed description of our advertising options, please fill out the contact form below to receive a copy of our media kit. You may also email us at blogadmin@weddingwindow.com. Please be sure to include your company name and a link to your website so we can get to know you! and most importantly, love ... lots of love. 40 (+) Images - Images must be sized to 635 px wide. Please include a wide variety of shots that cover the entire event including getting ready, ceremony, reception, portraits, decor and details, detail details! We are particularly interested in images that focus on event styling, customization and unique/DIY details. If your event is accepted for a feature, additional images may be required. Description - Briefly describe the event, couple and/or planning process (we love personal accounts from brides/grooms and photographers!). Vendors - Please include all other vendors who worked on this event with links to their websites. Please note: In order to provide our readers with new and exciting inspiration, we are looking to share events that are exclusive to WedLoft. Please let us know in advance if the event has been submitted or published elsewhere. Wedding Window is a petite company that is jam packed with a whole-lotta-love! Our team eats, sleeps and breathes weddings. We adore our brides and grooms and do everything in our power to provide them with the best resources, inspiration and ideas for their wedding day. Wedding Professional: You are a rock star in the wedding industry, a seasoned pro, looking to help engaged couples with their wedding plans by providing your expertise, tips, tricks and inspiration. Wedding Obsessed: You are a smitten kitten when it comes to weddings – totally absorbed in fun ideas, gorgeous inspiration and creative ways to customize your wedding! Great Taste: You’ve got it going on! You are constantly following the latest wedding trends, ideas and inspiration. Word Wizard: You have a way with words, loads of charisma and love to share your favorite wedding finds with engaged couples. Hunter & Gatherer: You have a knack for tracking down and pulling together the most unique and beautiful wedding inspiration around! Does this sound like you? Get in touch soon! We can’t wait to meet you!! We are looking wedding professionals who are ready and willing to share tips, helpful ideas and inspiration with engaged couples on a regular basis to ease the process of planning their wedding. Ladies and Gents who are fun, creative and excited to share and collaborate. A love for unique finds and DIY is a total plus! If writing about and sharing wedding inspiration sounds like a dream come true ... we want you! Where? When? What’s in it for You? Where: We are happy to welcome wedding professionals from all over the globe to blog on our team of guest experts! However, you must have a demonstrated ability of writing in English. When: Blog while having your morning coffee, riding the train during your work commute, while relaxing on the couch and watching TV ... basically, blog whenever you want! While we ask that our experts submit 1-2 posts per month, you are welcome submit blog posts as frequently as you’d like! What’s in is for you: We love our expert bloggers and appreciate their input and perspective on WedLoft. This is a great way to connect with engaged couples as well as other pros in the wedding industry. It is also a wonderful way to gain a following for you and your business through your blog posts. Get in Touch: Fill out the contact form below to tell us a little about yourself and why you’d be a good fit to blog for WedLoft. What wedding topics would you be interested in focusing on? Share Your Experience: If you have previous experience with blogging, send us a link or two to examples of your posts. If you don’t have experience, not to worry ... WedLoft is a great place to start! Extras: If there is anything else that is relevant, please feel free to include it! Have questions? Send ‘em our way!